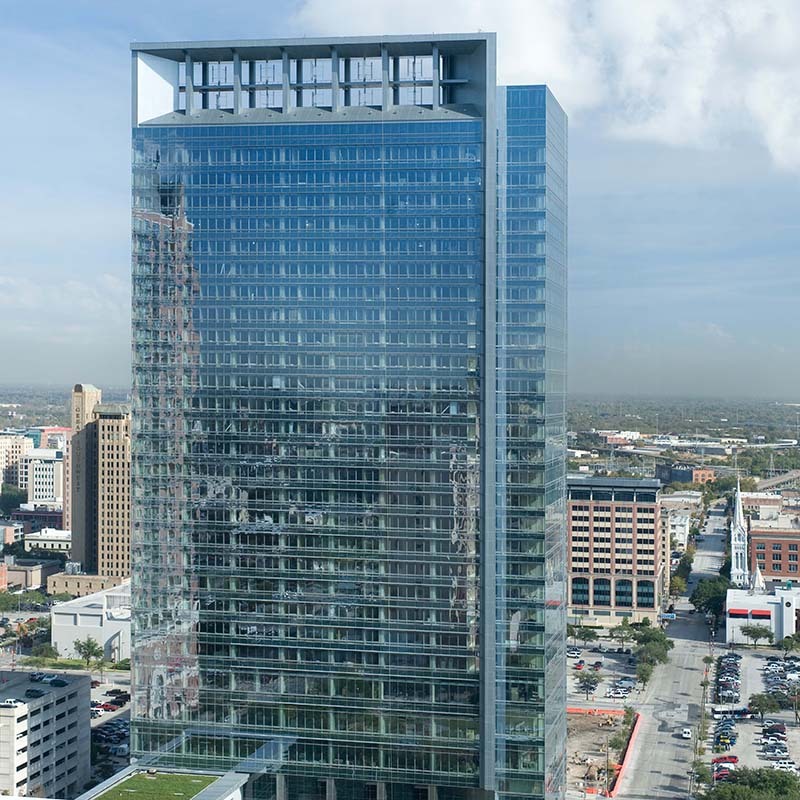 Hess Tower was the first in Houston’s Business District to achieve the United States Green Building Council LEED-CS Platinum Certification, core and shell recognition. 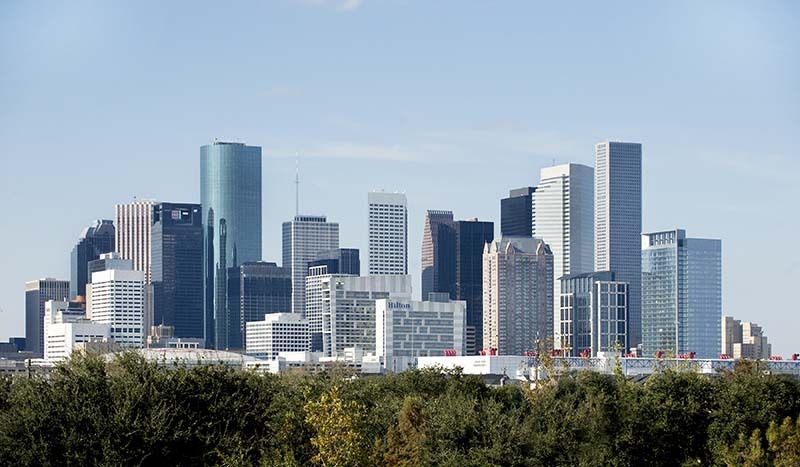 The Southside entry plaza complements the Discovery Green downtown park, which the tower is adjacent to, and near other Gilbane projects including the George R. Brown Convention Center and the Hilton Americas Hotel. The parking garage is a cast in place concrete structure, three bays wide and served with three elevators. The pedestrian bridge connecting the garage to the tower and a separate bridge connecting the tower to an adjacent office tower accommodates and protects the flow of people traveling in and out of the building and other adjacent buildings. Gilbane worked hand in hand with the Trammel Crow and Gensler looking for ways to improve selection of materials and the way those materials were selected to create a more predictable schedule which improved overall cost. The north face of the building was originally designed with architectural precast spandrels with ribbon windows. 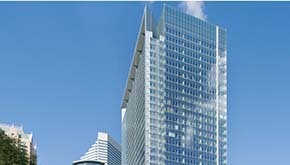 Gilbane proposed incorporating the metal panels into the curtainwall to meet the architect’s aesthetic vision, thereby reducing the potential for water leaks and construction delays. The increased cost in curtainwall was easily offset by schedule and reliability savings and the modification was incorporated.